4/22 6-9pm Triangle Bangle Bracelet - Bloomin Beads, Etc. This lovely bangle will use a variety of beads including tiles, bricks, lentils, and triangles. 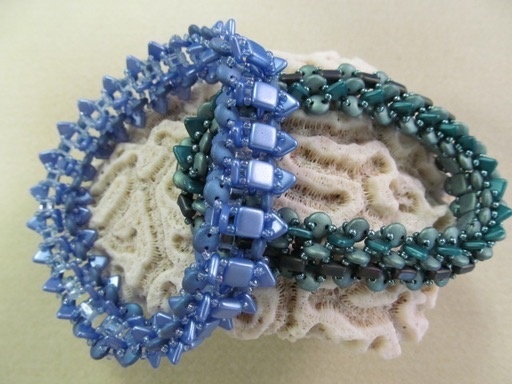 Come and enjoy creating this reversible and flexible bangle! Geometric Bling for your Wrist!